Louisville Boudoir and Pinup Photographers: Book a Pinup shoot with Boudoir Louisville and Josephine Love during Sled Fest! Book a Pinup shoot with Boudoir Louisville and Josephine Love during Sled Fest! Boudoir Louisville is taking their little "dog and pony" show on the road! 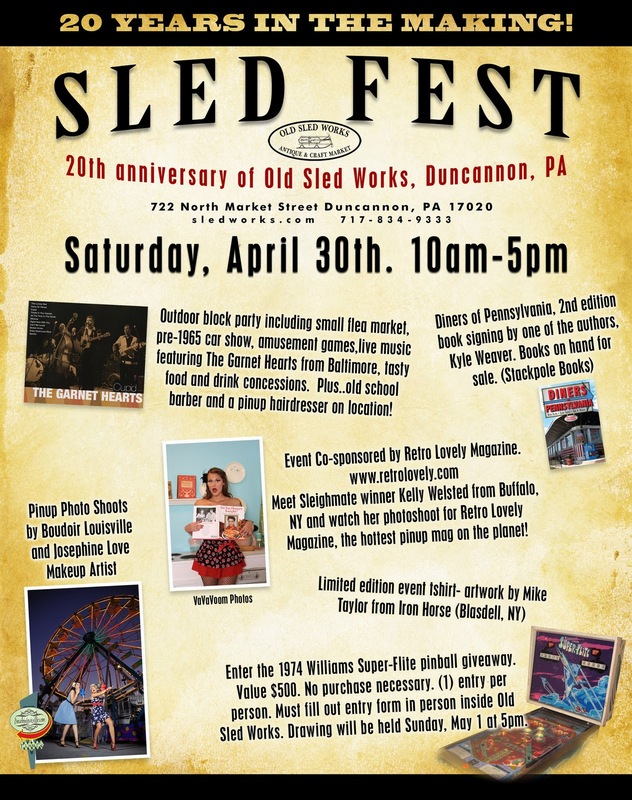 We are now booking 2 days of shoots in Duncannon, PA. during Sled Fest! Here are the details for our pinup shoots. •We will be shooting in various locations at Old Sled Works, including the AWESOME penny arcade! We require a 50% non-refundable retainer as well as a signed policy page to set the appointment. All of the above for the low low price of $300! WOWZERS! Saturday April 30th @ 10:00am BOOKED! Saturday April 30th @ 11:30am BOOKED! Saturday April 30th @ 1:00pm BOOKED! Saturday April 30th @ 2:30pm BOOKED! Saturday April 30th @ 4:00pm BOOKED! Sunday May 1st @ 11:30am BOOKED! Sunday May 1st @ 1:00pm BOOKED! Sunday May 1st @ 2:30pm BOOKED! Sunday May 1st @ 4:00pm BOOKED!